I was recently asked why I, and so many other professional cyclists call Girona home. It is quite strange when you think about it; hundreds of cyclists and triathletes from numerous countries around the globe, all choosing the same little town to call their home. It’s almost like we’re going back to school camp; a place filled with similar people, doing similar things, all within walking distance of each other. With a staggering list of wins and achievements to her name and still just 25 years old, Annette Edmonson is one of the top Aussie riders of her generation. Image Supplied. Back in 2013, I was dating a professional cyclist who had followed a few of his friends to Girona the previous year. The under-23 Australian men’s program was based in Italy and Girona was seen as an ‘escape’ from the watchful eyes of the Australian Institute of Sport’s coaches. Some of the boys had been in the program for years and were ready for some independence – plus Spain seemed to be just as good as Italy – similar training roads, similar appeal, but without the notorious Italian traffic. I spent the season in Girona and was certainly part of a very small cycling community. I would have been one of no more than ten female cyclists living and training in the area and would have been able to name almost every male. At that stage, track was my priority. Track for me is always associated with time based in Australia, so I never really gave Girona a chance to become my home. It was always temporary. 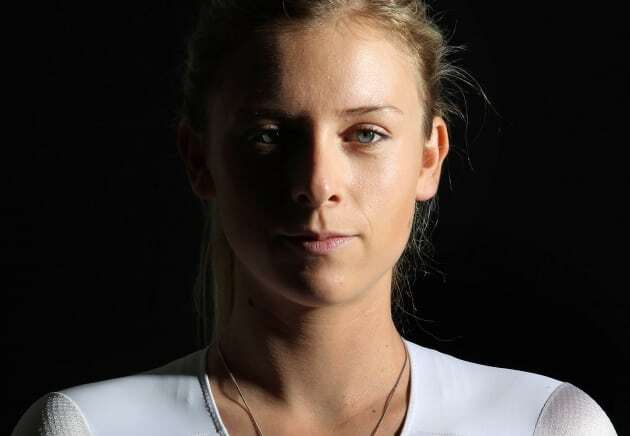 In 2014, the Commonwealth Games broke up my season, which meant I based myself in Italy with the Orica team during both my two month road stints. 2015 saw me travel ‘gypsy’ style around Europe, never planting myself in one place due to my short, four month road season. 2016 was all about the track in the lead up to Rio, so it wasn’t till this year that I finally returned. Despite not calling it ‘home’ in 2013, Girona is fabulous for professional cyclists. Its quiet, well maintained roads lead to mountains-a-plenty, the magnificent coast or around beautiful lakes and volcanos, all within a spin from the centre of town. 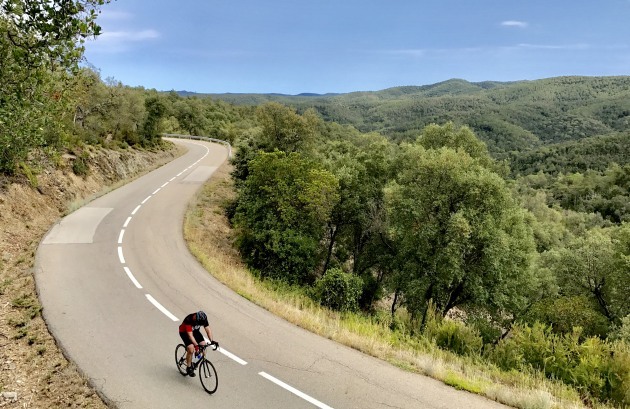 The varied terrain is perfect for all types of riding, but for those athletes seeking altitude, the Andorran mountains are located conveniently within a three hour drive. The weather is great almost all year round, with an increasing number of Europeans also making the move south to join the Oceania/Americas/South African contingent. The town is easy – it’s relatively small and easily navigated, with almost everything within walking distance. A train and bus station, and its own airport within twenty minutes drive from town make it accessible to the rest of Europe – a must have for athletes competing globally almost weekly. The vibe is fantastic, with street parties and live music happening on a regular basis. The relaxed, lazy mornings and siesta-filled afternoons are offset by the buzz that comes alive at night, throughout Girona’s cobbled streets and funky bars. The food is fantastic, with hundreds of local haunts now splattered with a few edgy Western cafes, finally filling that ‘go-out-for-breakfast’ void that little ol’ Girona lacked back in 2013. Annette Edmonson look out over her home away from home, the stunning city of Girona in northern Spain. Now, you can’t write a blog about Girona without mentioning the Catalan people. Ask any local and they’ll tell you Girona isn’t a city in Spain, it’s a major city of Catalunya. Girona’s heart beats Catalan; a group influenced by numerous cultures over the centuries to create their own, unique identity. These people are a proud group; a group who endured so much in their past and who continue to fight for their future, yearning to finally get their independence. One ride around the region surrounded by Catalonian flags hanging from balconies, car windows, from the top of mountains and spray painted on every surface will give you a brief idea of just how passionate these people are. There is a real sense of community amongst the Catalan people and that vibe is carried throughout all of Girona. Girona is booming, and you want to know why? It’s because silly people like me have discovered its awe and have stupidly shared it with the rest of the world. Once someone visits Girona, it’s unusual not to see them return. Just last week I met a cycling-mad Australian journalist (he writes for Bicycling Australia – fancy that!) and even he had to change his return flight to prolong his time in this quirky town. As for me, after finally unpacking the suitcase in Europe this year, it didn’t take long before I accidentally called Girona ‘home’. I was mid-conversation on the phone with a friend when I was excitedly mistaken for returning to Australia. This mistake was comforting. I realised that in those short few months, Girona had become ‘my place’. A place where I felt I was welcome, a place where I felt I belonged. I don’t know how long I’ll be racing on the road in Europe for, but for now, I’m home.